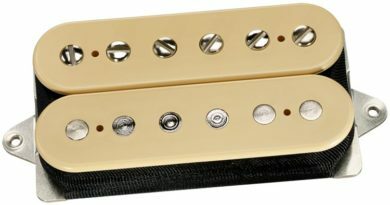 The Open Core Classic set is not just a double dip on the original Classic Humbucker set. The sound of the Classic set is there, so don’t fret (ha! a pun!). What the new Open Core Classic brings to the table is a classic appearance and easier installation options. 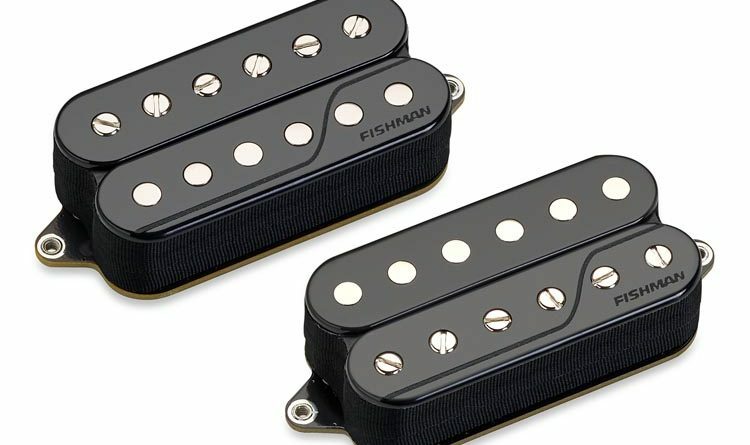 When Keith Merrow started work with Fishman on his Custom Series Pickup Set, he’s adamant about the look of a conventional humbucker appearance. The “open core” came to be. I imagine since the Merrow neck is a Classic, it’s a no-brainer to make that small step for a complete Open Core Classic set. Updates on the wiring harness makes it much easier to get a single coil type of an option. On the older/original Classic set I evaluated in 2016, you run a separate wire to the pickup for a single coil tone. In that design, it was taking one of the coils from the humbucker. Now it’s all part of the normal wiring and accessible via whatever switch you connect. And it’s also a totally unique 3rd Voice. The is also a SCO (South Coil Out) solder pad. It’s for hum cancelling in the 2 and 4 positions in HSH applications. I’m a fan of these new wiring options and hope the continue to roll it out in revisions to the applicable models. Another groovy new feature on the Open Core Classic is the mounting tab. Whatever the technical designation, it’s that triangle shape. That means if you have a guitar routed specifically for that shape of tab, you won’t be clipping back the square feet on your new purchase. Or worse, hacking up your guitar. So, you’re wondering, what’s the big deal if the sound the same? Alright, Mr. Scroogey McTightwad guitar player. LOL! Just like what you get when you remove the cover from a pickup, it opens things up a little. And I can honestly say that I can hear more of what’s described from this Open Core Classic set. The Open Core Classic set is tested in the same 2-hum guitar as the Keith Merrow and the Tosin Abasi set. The Will Adler set is also in this run of Fluence pickup evaluations, so be keep an eye out for that article coming soon! One push-pull is used to select Voice 1 and Voice 2. Another push/pull is used to select Voice 3/Single Coil. And I really am hearing just enough more from the Open Core Classic humbuckers to make me want to keep on playing them, even after completing a normal “run around the block” testing. The bridge has a really versatile Vintage PAF Voice 1. Voice 2 is a little bit beefier option, with the goal of being a classic “hot rod” humbucker. Both Voices has plenty of output, without being over the top. Each is also voiced to be different, but still similar enough to not get a huge radical shift when changing selection. For the Open Core Classic neck, the Voice 1 Vintage PAF is an excellent blend to pair with either Voice of the bridge. Things hold together well down low and can deliver some presence up high without getting honky or nasally. Voice 2 is a unique option that offers a little more detail and focus, which can come in handy on neck-position lead/solo work. Voice 3 is a single coil sound respective to each position. Which is to say, they are tuned to different resonant peaks and the bridge position has the slightest bit more juice. This Voice works well, as an independent pickup and when both together. The hotter bridge single coil vibe has a smidge of sizzle. But it’s still not pushing in to an area of breakup. That’s a nice touch. The middle position is a very usable tone that allows the best of each position to work together in a way that is commonly rare in a lot of passive pickup sets. Voice 1 – Vintage P.A.F. – The ideal, elusive P.A.F. neck tone with the dynamics and output level you want. Voice 2 – Clear, airy chime — A Fluence-exclusive neck tone, with unreal highs, vocal midrange, and tight lows. Voice 1 – Vintage P.A.F. — The ideal, calibrated vintage P.A.F. 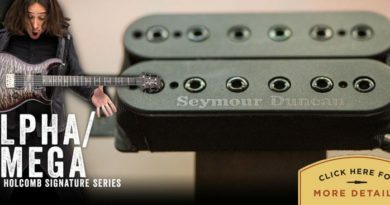 bridge humbucker tone at the perfect output level. 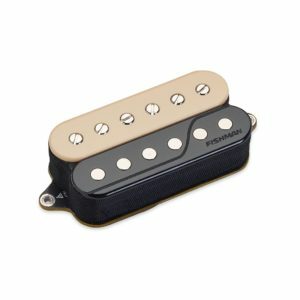 Voice 2 – Classic Hot Rod — The quintessential hot rodded bridge humbucker tone without all the baggage. The Open Core Classic is available in 6, 7, and 8-string options. Available colors are black, zebra, reverse zebra, and white. You get pretty much everything you need, outside of a main selector switch and a power supply. I can say that this set does have a lot more headroom and transparency, when compared to what people expect from a battery-powered pickup. The squished and compressed character associated with an active option is not going on here. The Fluence technology lures artists away from the heavy hitters. 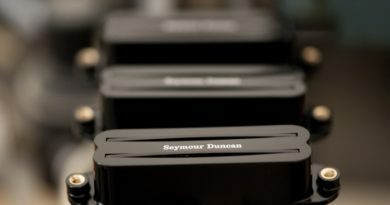 There is still plenty of ground for Fishman to cover with these pickups. So let’s see what they do next. 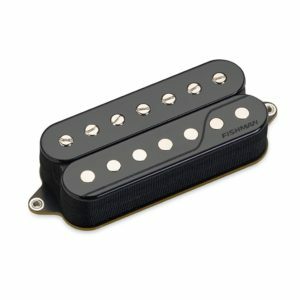 For reference, this Fishman Fluence Open Core Classic Humbucker Pickup Set evaluation was conducted with a Fractal Axe-Fx II XL+ featuring Celestion Impluse Responses and Fractal MFC-101 MIDI Foot Controller. Real cabs used were Marshall 1960B cabs loaded with Celestion G12-65s, Vintage 30s and G12M Greenbacks.